Hoang Ninja Warriors | Which Hoang Has The Best Football Arm? 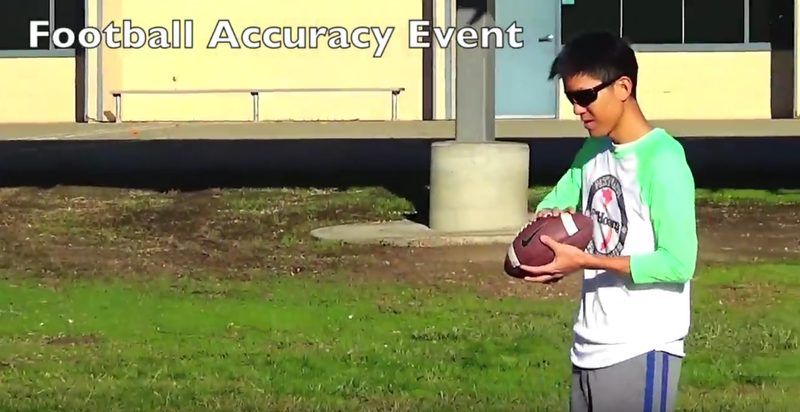 The first event of the 2016 Hoang Ninja Warrior was the football accuracy event. All the Hoangs can throw the football really well. Dan Hoangbeski showed off his arm strength by breaking Cuy’s target netting. The female Hoangs scored really high points by employing the right offensive strategy — West Coast Offense. In the end, Peter Phi Hoang won this event.